In this White Paper Margaret Thatcher's government set out its proposals for changes in the structure and planning of higher education. Higher education: meeting the challenge was prepared for the web by Derek Gillard and uploaded on 19 October 2017.
by Commercial Colour Press, London E7. have closer links with industry and commerce, and promote enterprise. further develop continuing education, particularly professional updating. more selectively funded research, targeted with attention to prospects for commercial exploitation. the development and use of performance indicators. the PCFC will also plan and fund certain courses in colleges remaining with local government. the UFC will have a Scottish Committee with a direct relationship with the Secretary of State for Scotland. The Government proposes to introduce the legislation needed to bring about these changes as soon as Parliamentary time permits. renewed emphasis on the need for quality and efficiency. It also comments further on certain other themes treated in the Government's earlier Green Paper The Development of Higher Education into the 1990s (Cmnd 9524). 1.2 The Government takes a wide view of the aims and purposes of higher education. It adheres to the Robbins Committee's definition (2): instruction in skills, the promotion of the general powers of the mind, the advancement of learning, and the transmission of a common culture and common standards of citizenship. It fully recognises the value of research, and especially basic research, together with those areas of learning and scholarship which have at most an indirect relationship to the world of work. The encouragement of a high level of scholarship in the arts, humanities and social sciences is an essential feature of a civilised and cultured country. Clearly too, undergraduate education of quality in these disciplines is valued by employers, both as a basis for professional training and in its own right. 1.3 The Government believes that the British system of higher education is among the best in the world, both in the quality of its research and of its graduates. But no area of our national life can afford to rest on past achievement. To secure and develop the distinctive strengths of our system, continuing efforts are necessary, both within higher education itself and in the wider educational framework. 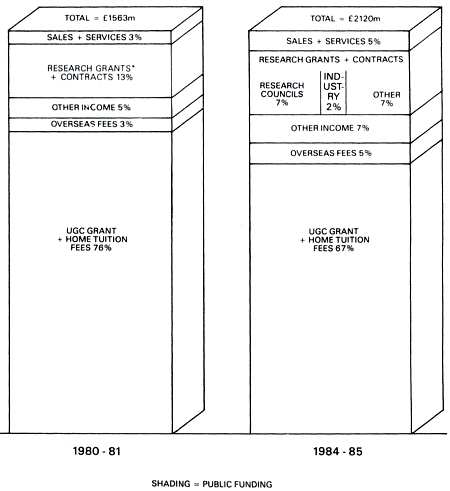 (1) Review of the University Grants Committee Cm 81 (HMSO 1987). 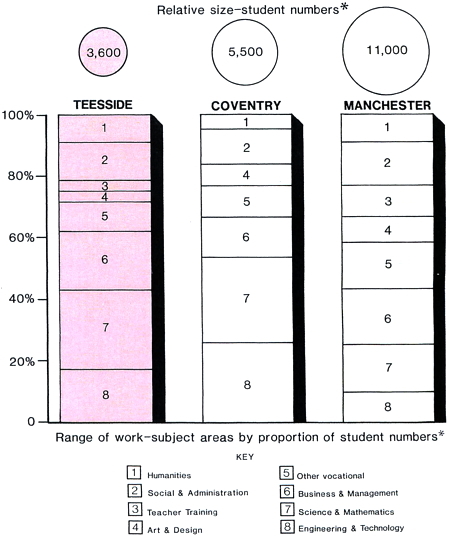 (2) Higher Education Cmnd 2154 (HMSO 1963). polytechnics and colleges themselves, for higher education to take increasing account of the economic requirements of the country. 1.5 Meeting the needs of the economy is not the sole purpose of higher education; nor can higher education alone achieve what is needed. But this aim, with its implications for the scale and quality of higher education, must be vigorously pursued. The achievement of greater commercial and industrial relevance in higher education activity depends much on close communication between academic staff and people in business at all levels, often but not exclusively on a local basis. These connections can lead to more suitable teaching, to research and technology transfer, and on occasions to help with equipment or finance. They also help foster the positive attitudes to enterprise which are crucial for both institutions and their students. 1.6 The Government and its central funding agencies will do all they can to encourage and reward approaches by higher education institutions which bring them closer to the world of business. The Government will correspondingly encourage industry and commerce to recognise the value, to themselves and more widely, of working closely with education. Significant advance on these fronts has been made in recent years - witness the doubling of universities' research income from industry since 1981 - but as yet links between higher education and industry in Britain remain less close than in many of our competitor countries. 1.7 The Government does not underestimate the strains of readjustment its policies have imposed on the system, or the efforts that have been made to respond to these policies. But neither does it doubt the need to carry forward the reforms it has set in train, which it firmly believes are to the ultimate benefit of all disciplines - science, engineering and medicine, or history, philosophy and the classics. 1.8 The multiplicity of tasks undertaken by higher education institutions calls for a range of sources and styles of funding. Some activities attract, and on any showing should attract, funding from other sources than the public purse. This is especially true of applied research, of courses intended to update skills and knowledge, and of provision for overseas students; all these activities ought to cover their full costs rigorously calculated. There is nevertheless a continuing and inevitably substantial role for public funding in higher education. The Government is confident that the arrangements for 1987-88, and prospectively for the following two years, set out in The Government's Expenditure Plans (Cm 56), provide the various sectors with the basis for fulfilling their roles to a high level of achievement. (3) For consistency with other publications and because of the different structure of higher education in Northern Ireland, the student number statistics in this chapter are quoted on a Great Britain basis. Relevant figures for Northern Ireland are set out in Annex B. (4) The Age Participation Index (API) is the number of young home initial entrants to full-time higher education expressed as a percentage of the relevant age group, being half the total number of 18 and 19 year olds in the population. entrants (aged 21 and over) whose numbers have grown by a quarter since 1979. The increases in participation have been particularly marked for women who now account for about 44% of full-time students in higher education compared with less than 40% seven years ago. 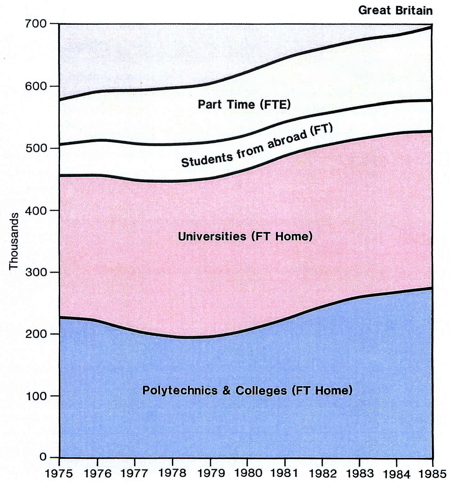 2.2 Virtually all of this major increase in full-time student numbers has taken place in the polytechnics and colleges sector of higher education (5), more than making good the reduction in this sector in the late 1970s. The polytechnics and colleges have also accommodated over three-quarters of the 72,000 (27%) increase since 1979 in part-time student numbers. In both sectors the proportion of students on full-time science-related courses has increased - from 50% to 53% for universities and from 36% to 41% for the polytechnics and colleges. 2.3 Comparisons with higher education participation rates in other countries are not straightforward. There are differences in structures, course lengths, wastage rates and ways of counting part-time students. The best like-for-like comparison is probably of the proportion of the relevant age groups gaining degrees and higher diplomas. On that basis Britain is on a par with attainments in France and ahead of the rest of the European Community, though achievements here are not as good as those in Japan and the USA. Moreover, such comparisons take no account of quality - on which the reputation of higher education in this country is high. 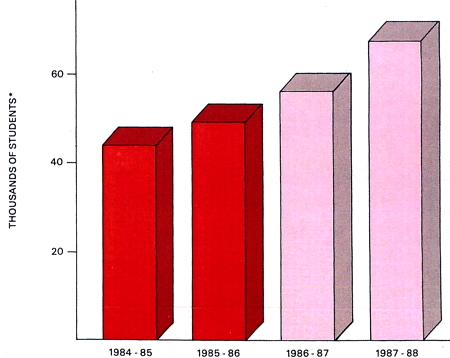 2.4 In November 1986 the Government published Projections of Demand for Higher Education in Great Britain 1986-2000 which displays two projections of future student numbers. Projection P, the lower of the two, is based on the assumptions that the numbers of young people entering full-time higher education will remain a constant proportion of those gaining the traditional qualifications for entry (two or more GCE A levels or three or more Scottish Highers), and that the entry rates for mature students will also remain constant. For the higher Projection Q, it is assumed that those proportions will increase - particularly amongst young women - in part to reflect the success of the Government's policies for schools and non-advanced further education. (5) See paragraph 4.2. In Chapters II and III of this White Paper the term "polytechnics and colleges sector" is used to describe higher education provided in 30 polytechnics in England and Wales, 16 central institutions in Scotland and some 455 other colleges throughout Great Britain. (6) Full-time equivalents are the number of students on full-time courses plus an appropriate proportion of the number on part-time courses. In the projections, the overall weighting for part·time students is 0.35. 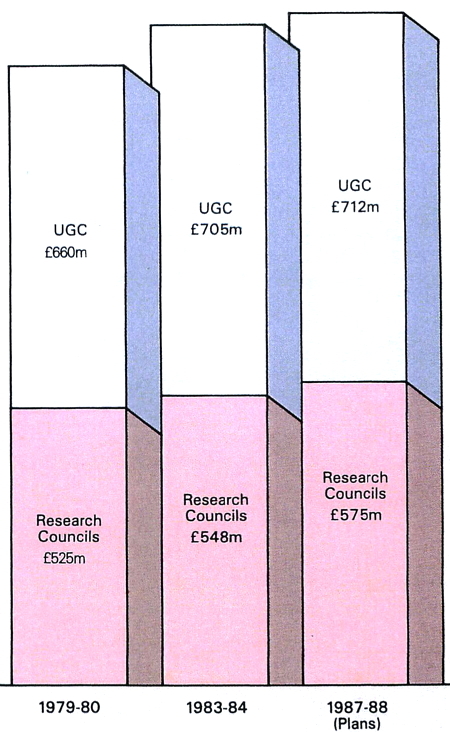 (7) Since the Projections were published the Government has increased its funding of the Open University. This will facilitate higher admissions and, when they are next revised, the Projections will thereby need to be increased by some 6,000 students by the late 1990s. differential demand for higher education by social class which is already allowed for in the projections. (8) This may have a significant influence on demand for higher education in the 1990s when many of the children of those who benefited from the big increase in higher education opportunities in the 1960s will reach age 18. If so, the API for young entrants is likely to be nearer to that underlying Projection Q. 2.7 Both Projections P and Q assume that higher proportions of young people will gain the traditional qualifications for entry to higher education as a result of girls achieving parity with boys' A level attainments, and changes in the social/occupational mix of the population. 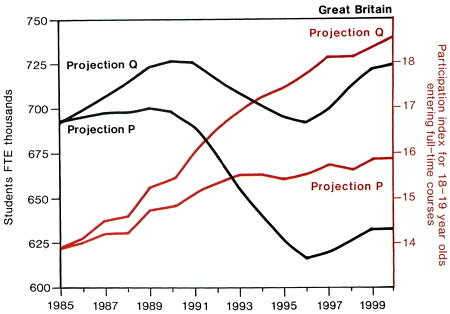 Additionally, Projection Q assumes a further increase in the potential number of traditionally qualified entrants to higher education, dependent primarily on the success of the Government's Better Schools (Cmnd 9469) policies which imply that a significantly larger proportion of pupils at age 16 will reach the standards necessary to continue on to and to succeed in A level courses. The Government believes that by the end of the century improvements in the schools will be such that the proportion of young people in Great Britain as a whole gaining two or more A levels, or three or more Scottish Highers, will have reached 20% - the proportion already attained in Scotland . (8) The Educational Qualifications and Social Class of the Parents of Undergraduates Entering British Universities in 1984. E Rudd (Royal Statistical Society 1986). Survey of Young People's Intentions to Enter Higher Education. R Redpath & B Harvey, OPCS (to be published shortly by HMSO). Scottish Action Plan, should increase the proportion of young people gaining vocational qualifications and is likely to motivate more of them to seek entry to higher education. 2.9 The Government remains committed to the modified form of the Robbins Principle set out in Cmnd 9524. Places should be available for all who have the necessary intellectual competence, motivation and maturity to benefit from higher education and who wish to do so. Planning of higher education will need to take account, inter alia, of regular monitoring of actual demand for places and of the effects of the Government's policies to improve performance in schools and non-advanced further education on the numbers of potential entrants to higher education. 2.10 Policies based on response to student demand may have provided a sufficient basis for planning and financing higher education while the numbers of young people qualified to enter higher education were growing. Demand was influenced in part by employers' requirements for highly qualified manpower and by the pay and career prospects offered, and the meeting of these requirements was not constrained by demographic factors. In a period when student numbers could decline sharply for demographic reasons the Government considers student demand alone to be an insufficient basis for the planning of higher education. A major determinant must also be the demands for highly qualified manpower, stimulated in part by the success of the Government's own economic and social policies. 2.11 Where it is clear that demand for highly qualified manpower in particular areas outstrips supply, action is already in hand. The Green Paper (Cmnd 9524) recorded the Government's and industry's concern about the need to increase the output of graduate scientists and engineers, and reported the establishment of the Engineering and Technology Programme (ETP). That Programme has successfully taken root, greatly helped by donations from industry of equipment and services worth more than £24 million. 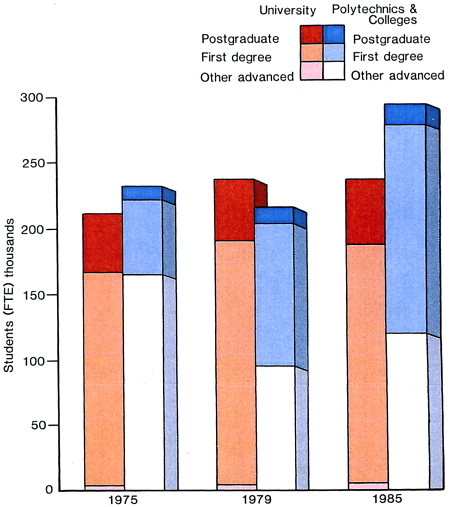 Taken together, the work of the planning and funding bodies (9) to change the subject balance within higher education, the ETP and its counterpart in: Scotland, and earlier central initiatives, should lead by 1990 to increases of 35% and 25% in the numbers of graduates in science and engineering respectively, compared to 1980. Selective action is also being taken by the Government, the University Grants Committee (UGC) and the National Advisory Body for Public Sector Higher Education (NAB) to alleviate the shortages of mathematics and physics teachers in schools. In taking these initiatives the Government in no way implies that it undervalues the contribution of the arts, humanities and social studies to the future needs of the economy as well as in the transmission and enrichment of our national culture. Employers' recruitment patterns and rewards offered show they value much that is studied in these areas, in particular the analytic, critical and communication skills which suitably broad and rigorous courses in these disciplines help develop. 2.12 It is hard to forecast the long-term demand for specific skills. Nevertheless, the Government considers it necessary to take a broad view of the nation's future requirements for highly qualified manpower. There is no reason to suppose that employers' requirements for graduates and diplomates will fall in parallel with the one-third fall in the size of the 18-19 year old age group by 1996. 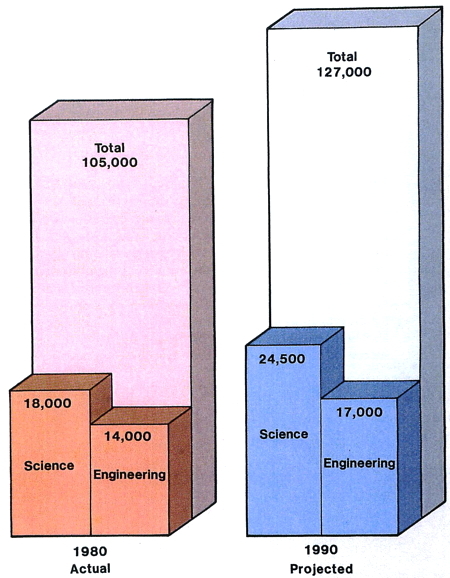 The current shortages of highly qualified scientists and engineers, particularly in fields related to information technology, are well documented. Graduates in those and other disciplines - especially business-related social sciences - who have the qualities necessary for management posts are also reported as being in short supply. (9) Namely the University Grants Committee (UGC), the National Advisory Body for Public Sector Higher Education (NAB), the Scottish Education Department (SED) and the Wales Advisory Body for Local Authority Higher Education (WAB). Unemployment amongst new graduates is at the lowest level for seven years, and data from the Labour Force Survey indicate that graduates generally are less than half as likely as non-graduates to be unemployed. This reflects the significant increase in demand for new graduates since 1981 related both to growth within the economy as a whole and particularly to the necessary and continuing changes in Britain's industrial and occupational structure. Various studies of past trends and future demand, though not comprehensive, suggest that the increases in graduate output already planned will at best keep pace with projected increases in requirements up to 1990. (10) Thereafter, indications of demands in the economy for highly qualified manpower suggest that they may remain at or above the levels then reached. These must be taken into account, together with employers' needs for less qualified recruits, in devising a planning framework for higher education in the 1990s. 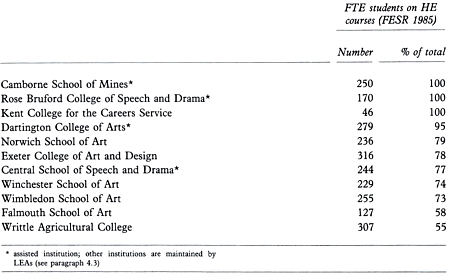 (10) Relevant studies include, for example: Employment of Graduates 1975-90. P Meadows & R Cox (Employment Gazette, April 1987); Review of the Economy and Employment 1985-86 Volume 2. Institute of Employment Research (University of Warwick 1986); UK Occupation and Employment Trends to 1990. Occupations Study Group (Institute of Manpower Studies 1986). better value for money from the public funds made available to higher education. The Government will monitor carefully the evidence of actual student demand for places from year to year. It will carry out a major interdepartmental review of prospective needs for new graduates by industry, commerce and the public services - bearing in mind also employers' requirements for recruits with lower levels of educational qualifications - and will commission further research if necessary. If evidence of student or employer demand suggests subsequently that graduate output will not be in line with the economy's needs, the Government will consider whether the planning framework should be adjusted. 2.14 The Government has reaffirmed (paragraph 2.9) that places should be available for all with the necessary qualities to benefit from higher education. It also respects the long established policy of leaving to institutions the decisions on which individual students to admit. However, it now invites all those with relevant responsibilities to consider carefully the steps necessary to secure increased participation by both young and older people, and to act accordingly. 2.15 The changes required should not be underestimated; it will be necessary both to adjust the balance of provision to match the needs of the economy and to accommodate students with a wider range of academic and practical experience than before, many of whom will not have the traditional qualifications for entry. Not only will entry requirements and procedures have to be changed; institutions of higher education will have to adapt their teaching methods and the design of their courses to accommodate new types of student. The Government attaches no less importance than previously to its policy of maintaining and raising standards. It believes that increased participation in higher education need not be at the expense of academic excellence; indeed the stimulus of change should help to sharpen awareness of the different types of achievement that properly form part of the output of higher education. In addition, institutions may admit others to a particular programme of study, if fully satisfied of their capacity to benefit from it. 2.17 Although the majority of young students in higher education will continue to gain entrance through holding traditional sixth form qualifications, the examinations commonly taken in schools are themselves undergoing important modifications. The introduction of the GCSE and of AS levels, the review of A levels announced by the Government on 25 February, and the related developments in Scotland will affect the content and teaching of subsequent stages of education. The development of AS levels will helpfully broaden the curriculum base for entry. The Government urges higher education institutions to give due credit for AS level success to mature candidates as much as to younger entrants. 2.18 A growing number of students will enter higher education along the second route, with vocational qualifications of the kind now offered by about a sixth of candidates. As well as reflecting the changes in schools and non-advanced further education referred to in paragraph 2.8, this will also help ensure the maintenance of the recent shift in the balance of higher education provision towards subjects for which future employer demand is strongest - those with a technical, numerical or other vocational content. The Government therefore believes that positive steps must now be taken to increase the number of higher education entrants with vocational qualifications, for example those of BTEC. This route will be best for some of those who might not in the past have entered higher education, but it should not be seen as exclusively for them. The polytechnics and colleges already have substantial experience of providing for such students; the universities should move in this direction. 2.19 The Government looks to all institutions of higher education to give careful consideration to arrangements for admission of those holding existing qualifications of this kind, and, in conjunction with the National Council for Vocational Qualifications, to pay particular attention to the recognition to be given to the various levels of the proposed National Vocational Qualification. 2.20 The third recognised route into higher education - for those, mainly mature, entrants who hold neither traditional sixth form nor vocational qualifications - is through "access courses". Originally, these were established mainly to assist entry to teacher training and social work training courses. In the last few years they have developed more widely, with an increasing number in scientific and technological disciplines including courses aimed at facilitating entry to teacher training in shortage subjects. Some access courses are geared to a particular receiving institution; others are designed to offer access to higher education more widely. The Government has a preference for the latter style wherever practicable. But it accepts the place of the former also, provided that effective oversight is exercised by the appropriate validating authority so that the standards of access courses tailored to a specific higher education institution are suitable for entry to similar higher education courses elsewhere. The responsibilities of validating bodies extend, of course, to access provision in al1 styles, and the Government invites them to give attention, in consultation with the providers, to developing a comprehensive framework within which the availability of well devised access courses can be increased. all institutions involved must put effort into counselling students and supporting their motivation. 2.22 The Government will propose to the validating and planning bodies a programme for monitoring progress in the admission of students with vocational qualifications and from access courses. 2.23 Credit transfer schemes provide help to extend higher education opportunities. Schemes can operate within consortia of institutions, or more widely through such means as the Council for National Academic Awards' (CNAA) Credit Accumulation and Transfer Scheme (CATS). The wider range of entrants will increasingly be able to seek academic credit for prior learning, whether gained through formal qualifications or through experience, and to pursue programmes of study tailored to their particular needs but within established academic standards. The Government welcomes such initiatives, particularly attempts to work with employers to integrate their in-house training courses and development schemes into broader based programmes of professional development. The Educational Counselling and Credit Transfer Information Service (ECCTIS), which is funded by the Department of Education and Science, recently published its first handbook on credit transfer; and the NCVQ is making a priority of arrangements for earning awards by credit accumulation. 2.24 The Government acknowledges that future arrangements for student support will have a bearing on student demand, particularly perhaps on the extent to which demand from mature and part-time students might increase. Student support arrangements are being reviewed separately and the Government's conclusions from that review will be announced in due course. The review will take full account of the importance of maintaining access to higher education by students from all social and economic backgrounds. 2.25 Britain welcomes overseas students. The Government maintains its commitment to targeted support for them - currently some £86 million a year - to meet the needs of overseas countries and to reflect its various policy objectives. It recognises as well the educational benefits that the presence of overseas students can bring to higher education institutions. After a decline following the introduction of full cost fees in 1980, the numbers of overseas students in higher education have increased and are now again approaching the peak level of 1978.
order to remain competent members of Britain's increasingly technological workforce. The Government's intention is that both these broad categories should be well served, and it has promoted programmes on both accounts. 2.27 Particularly useful progress is being made in in-career vocational education, notably as a result of the Professional, Industrial and Commercial Updating (PICKUP) Programme, which has now been extended to Scotland. Many of the more enterprising colleges and universities have adopted, with great benefit, a new style and approach to the provision and marketing of courses for industry and commerce. For their part, increasing numbers of firms recognise that investing in updating or retraining their workforce is essential to their future competitiveness; and are ready to release employees and pay a proper price for a good product. This advance needs nevertheless to be taken much further and an additional £6 million has been provided for pump-priming this activity through the NAB, the W AB and the UGc. The Government intends to play an active part in encouraging these developments through its PICKUP programme and within its Adult Training Strategy. the opportunities created by new research developments, the close ties with education should foster a closer relationship between undergraduate, diploma and continuing education courses and the world of work. 2.29 As for other forms of adult higher education, the current projections of student numbers show a growth during the next decade both in the numbers of mature entrants to full-time courses and in the numbers on part-time courses. If these expectations are to be realised, institutions will need to maintain, and in some cases much increase, their efforts to provide appropriately for the particular needs which such students will often have. The rewards - to the individuals, to the student body, to society and to the institutions themselves - can be considerable. 2.30 In continuing education, though not there alone, new technology may allow a larger market to be reached, ultimately at no greater effort. Distance learning is itself not new, but new dimensions have been added in recent years with the spread of video-recording and playback facilities and the development of interactive video instruction technologies. The Government sees great potential here and will facilitate the extension and development of distance learning provision across a wide range of institutions, covering both learning materials and delivery systems, and building on the excellent foundations laid by the Open University and the newly developing Open College. 3.1 Higher education is expensive. In 1986-87 total public expenditure on higher education in the United Kingdom amounted to £3.7 billion including student maintenance but not research council spending. It accounted for 2.6% of public expenditure and 1 % of GDP. 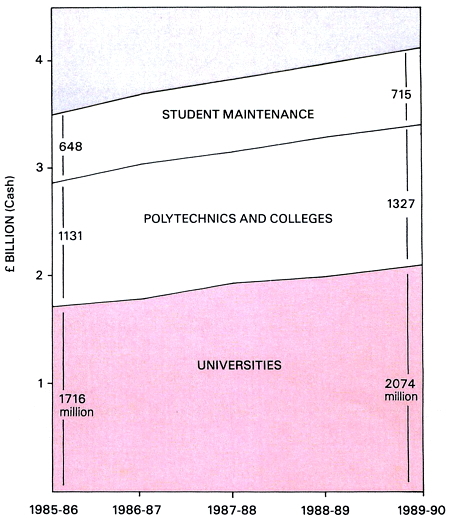 In real terms, expenditure on higher education other than student maintenance has grown by 3.2% since 1979. Higher education in the United Kingdom is more expensive per student than in most other developed countries, mainly because of high student support costs. 3.2 The Government's Expenditure Plans (Cm 56) (11) provide for a continuing increase in higher education expenditure to £3.8 billion in 1987-88 and £4.1 billion by 1989-90. (11) Together with the announced additions in respect of the recent university non-clinical academics' pay settlement. 3.3 The productivity of higher education as a whole has increased greatly since 1979. 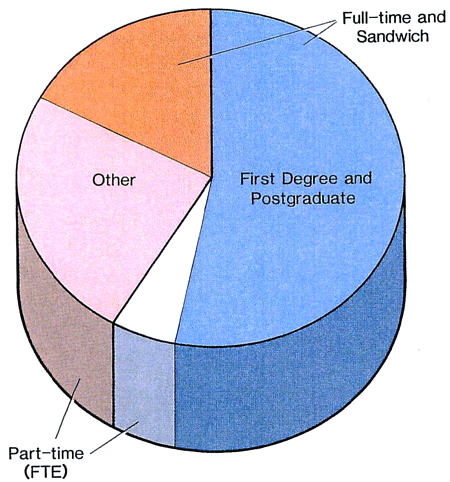 The total number of students in higher education in Great Britain has increased from 778,000 in 1979 to an estimated 934,000 in 1986, and the total number of full-time and sandwich students from 510,000 to 594,000. A fuller picture is given in Figure A in Chapter II. Average unit costs are estimated to have fallen in real terms between 1980-81 and 1986-87: by 5% in universities, by 15% in polytechnics and local authority colleges and about 25% in voluntary and other grant-aided colleges in England, and by 5% in the central institutions in Scotland. 3.4 The Government welcomes the efforts and positive achievements on the part of many institutions in seeking better value from the very large sums of public money made available for higher education. It recognises that hard and sometimes painful decisions are involved but is committed to achieving the further gains in value for money that will be needed, particularly if access to higher education is to be widened in future. This means pursuing both quality and efficiency. 3.5 Quality in higher education depends primarily upon the commitment of the academic community to the maintenance and improvement of standards. This cannot be created or imposed from outside, but the Government on behalf of the public can and will seek to ensure that systems are in place to promote and give effect to that commitment and to monitor the results. the quality of research - pre-commitment scrutiny and subsequent evaluation of achievement. 3.7 In the university sector the Committee of Vice-Chancellors and Principals (CVCP) published in 1986 Academic Standards in the Universities. This sets out codes of practice on the maintenance and monitoring of standards, covering universities' procedures, external examining and postgraduate training and research. The CVCP has undertaken to monitor the extent to which universities follow this advice, to publish reports by July 1987 and July 1988 on the changes that have been made, and to give further guidance if necessary. It will also promote the development of performance indicators (see paragraph 3.27). The Government welcomes the progress made so far but believes universities, individually or collectively, should do more to reassure the public about the ways in which they control standards. It will maintain its own concern with the preservation and enhancement of quality in teaching. to pay more attention to the quality of teaching and learning and to the achievements of students in both academic and employment terms. 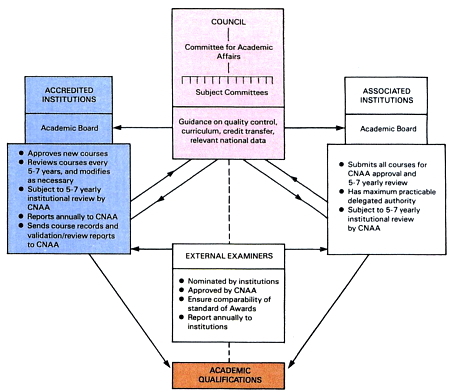 (13) Academic Validation in Public Sector Higher Education Cmnd 9501 (HMSO 1985). main guardian of standards in polytechnics and colleges, while reducing its own operating costs and encouraging greater self-reliance amongst institutions. The Government welcomes the CNAA's change of direction and now looks to its early implementation and to agreement on targets for reducing the Council's staffing and expenditure. 3.10 Below degree level, the Business and Technician Education Council (BTEC) has a corresponding responsibility in England, Wales and Northern Ireland for the quality of vocationally related qualifications. BTEC has recently been moving in the same broad direction as CNAA towards simplified initial course approval arrangements, improved and more rigorous checks on courses in operation, and greater autonomy for major centres. The Government looks to BTEC, in the further development of its activities, to work closely with the various industrial and professional bodies concerned with qualifications at this level, within the framework being developed by the recently established National Council for Vocational Qualifications (NCVQ). contribution to training and its publications. The new arrangements for funding and planning in polytechnics and colleges (see Chapter IV) will bring to an end the Inspectorate's involvement with administrative approval of individual advanced courses in England. 3.13 Improvements in such arrangements, combined with arrangements for the design and evaluation of courses, should allow departmental and institutional goals to be translated into personal objectives. Systematic staff appraisal then makes it possible to identify both the success of individuals in contributing to the achievement of those goals and the needs of individuals for guidance and training. Such appraisal is widely accepted in the public and private sectors, both for its contributions to personal development and for its usefulness to management. The principles are equally applicable to higher education. 3.14 The CVCP plans to produce an agreed code of practice on academic staff development by July 1987, and to publish guidelines for performance appraisal for academic and academic-related staff in the course of 1987. The Government welcomes this. There has been progress in some parts of the present local authority sector of higher education towards introduction of staff appraisal, but systematic arrangements have not been generally applied. The Government will expect all polytechnics and colleges to take full advantage of the scope offered by its proposals for their future (Chapter IV) to introduce satisfactory arrangements. More progress should also be made in the centrally funded institutions in Scotland. 3.15 Academic standards and the quality of teaching in higher education need to be judged by reference mainly to students' achievements. The numbers and class distribution of degrees awarded provide some measure as, conversely, do non-completion rates. External examiners' reports offer a vital commentary, and effective scrutiny of these by institutions is essential. Standards of attainment in the specialist knowledge and competence associated with the particular subject of study are key criteria. But higher education must also build on the broad education increasingly provided by schools ensuring, for instance, further development of skills in communication and numeracy and the fostering of positive attitudes to enterprise and work generally. The subsequent employment patterns of students provide some indication of the value of higher education courses to working life. Evaluation of institutional performance also requires students' achievements to be set alongside their entry standards. Greater attention needs to be given to these questions both nationally and by institutions; and the essential data on performance in each institution should be published so that its record can be evaluated by the funding agencies, governing bodies, students and employers (see also paragraphs 3.27 and 3.30). 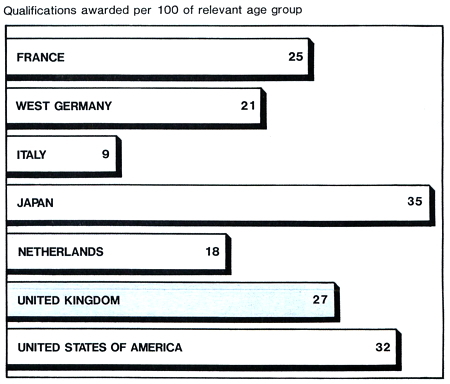 3.16 The quality of Britain's academic research is recognised worldwide. The country is rightly proud of the outstanding record of its scientists. They have won honours out of all proportion to the UK's size and wealth. The volume and influence of their work is second only to that of the USA, with its vastly superior resources. 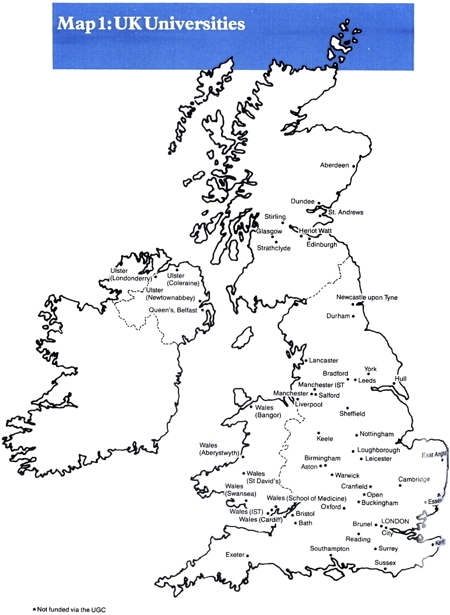 In this area Britain has a reputation and a strength which must be maintained and enhanced. 3.18 The Government is committed to maintaining and enhancing the strength and quality of the science base; and accepts its responsibility to provide the main funding. But pressure on resources is inevitable with the growth of scientific opportunity and the increasing cost of undertaking world-class research. These pressures are affecting all countries. Difficult choices have to be made, with high priority to areas which are likely to lead to useful applications - so called "exploitable areas". The obligation to selectivity lies particularly on the research councils, with the Advisory Board for the Research Councils (ABRC), and on the universities guided by the University Grants Committee (UGC). In both these sectors a good start has been made, and the Government looks to all concerned to collaborate effectively in the interests of taking the process further. In the polytechnics and colleges sector the Government's aim is to provide support for work of clear relevance to the needs of industry and commerce. 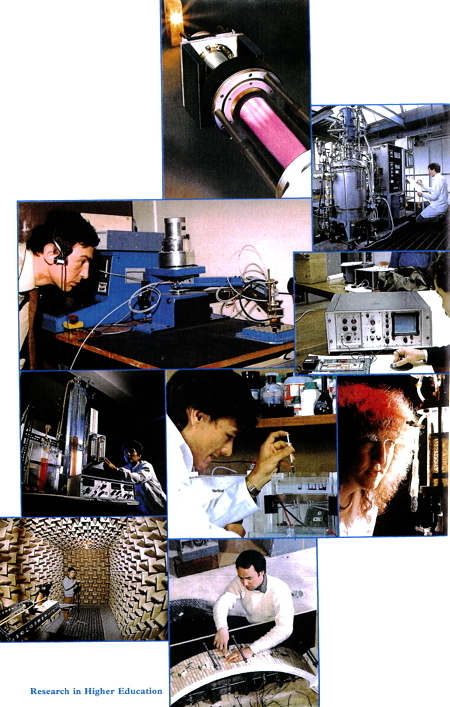 The research programme introduced in 1985-86 is now being extended with the expenditure of nearly £4 million a year more on activities of demonstrated quality in institutions which have proven track records of successful industrial and commercial involvement. 3.19 The international dimension of research is growing in importance. Collaboration allows the pooling of expertise and the sharing of costs and risks. The UK is fully involved in European Community programmes such as ESPRIT, BRITE, RACE and EUREKA. However, the Government fully recognises the need for balance between national and international efforts and for a strong UK academic research base. 3.20 Overall, the Government is confident that the approaches now being adopted are yielding much increased value for money. The clear prospect is a steadily better targeted effort across a balanced range of endeavour from basic science to applied work in effective relationship with industry. The improvements achieved and in train, and the policies to further them, will be set out in greater depth in future publications. 3.21 The Government strongly welcomes and has done much to promote the major growth in recent years of links between higher education institutions and industry. The impetus for many of these has been in the field of research. Others reflect collaboration in the provision of courses or a range of services in which one party has expertise or facilities of value to the other. There are now many very encouraging examples of what can be done. The Government looks to higher education institutions to apply these models widely in collaboration with industry, and will foster their further development. Initiatives to this end include the LINK programme which was established last year to stimulate the transformation of basic research data into commercially exploitable ideas by support of collaboration between higher education and industry in strategic research. 3.22 In addition, the Government wishes to see all higher education students made aware of the challenges and opportunities of enterprise. Various successful schemes already operate, for example to allow students to work in companies during vacations or to develop their own enterprises after graduation. The Government proposes to carry these developments forward in consultation with higher education institutions and others concerned. 3.23 The Government is concerned both with the efficiency of individual institutions and with that of the national system of higher education as a whole. The pursuit of efficiency is not just about saving money. It is about helping institutions and individuals to achieve more of what they should achieve with the money that is available. As with quality, efficiency depends primarily upon the skill and commitment of individuals at all levels, both in the conduct of their own work and in the decisions that have to be taken when acting collectively. Again, the Government has a role in seeking to ensure that suitable arrangements to promote and monitor efficiency are in place for institutions and for different parts of the whole system. 3.24 The main growth in efficiency in higher education since 1979 has been associated with the massive increase in student numbers. The rest of this chapter identifies other measures that have been taken or are in hand to promote efficiency at institutional level. Chapter IV deals with the overall management of the system. 3.25 The UGC - and any successor body (see paragraphs 4.38ff) - has a key role in promoting the efficiency of universities, both through its own programmes and actions, and through the guidance it gives to institutions. It has carried out a root and branch review of the way in which it decides how much grant to allocate to each university for teaching and research. It has embarked on an ambitious programme of review and rationalisation of university departments in a wide range of subjects, in some cases in collaboration with the planning bodies for the other sectors of higher education. 3.26 For its part, the Government funded the work of the CVCP's Steering Committee for Efficiency Studies, under the Chairmanship of Sir Alex Jarratt, which reported in March 1985. The UGC is planning to publish by July of this year a report and commentary on individual universities' responses to the Jarratt Report, and universities are to be asked to submit annual reports on the efficiency gains they have achieved. The CVCP has established a working group on financial management which is to report this year. 3.27 The CVCP and the UGC have also adopted proposals, put forward by a joint working party on the use of performance indicators, for the regular publication from 1987 of a range of efficiency and effectiveness measures covering all universities. Initially, efficiency indicators will include student:staff ratios (SSRs) and a range of unit costs broken down by the main categories of expenditure. Effectiveness indicators will include income from research grants and contracts, the numbers of research and sponsored students, submission rates for research degrees, the first occupation of graduates and the institution's contribution to postgraduate and professional training. 3.28 The UGC has undertaken to advise the Government shortly, in the light of a survey carried out by the CVCP, on recent practice in the granting of tenure to academic staff and on the extent to which it may be appropriate to limit this. The Government reconfirms its intention to legislate to stop tenured contracts for new appointments and plans to include the necessary provisions in a Bill to be introduced as soon as Parliamentary time permits. The opportunity will also be taken to secure necessary revision of arrangements for dismissal for "good cause". 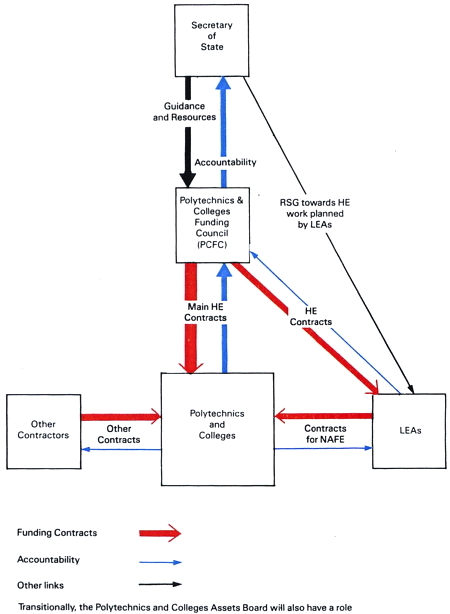 3.29 In May 1985 the Government asked the National Advisory Body for Public Sector Higher Education (NAB), in association with the Wales Advisory Body for Local Authority Higher Education (W AB), to advise it on changes needed in England and Wales to secure more efficient management in polytechnics and colleges. The NAB's Good Management Practice Study is not yet quite completed but the evidence it has collected already shows that the good management of polytechnics and colleges is inhibited by the excessive engagement in their affairs of local authorities exploiting their role as the formal employer of staff and the overseer of budgetary and purchasing matters. The way the Government intends to correct the situation is set out in Chapter IV. 3.30 In the polytechnics and colleges sector in England and Wales, unit costs and SSRs are now accepted indicators of the intensity of resource use. The NAB has accepted an average SSR target of 12: 1; this underlies its advice to the Secretary of State for Education and Science and the Government's decisions on the overall funding and planning of the sector. The Polytechnic Finance Officers Group, in conjunction with the Committee of Directors of Polytechnics (CDP), also publishes a range of expenditure data by institution. The Government is discussing with interested parties the possibility of publishing information about the first destination of students by institution, and has encouraged pilot work towards the wider use of data about students who do not complete their courses. As with the universities, much remains to be done and the Government will look to the new planning and funding body proposed in Chapter IV to take the lead in promoting performance indicators in the polytechnics and colleges. 3.31 Meanwhile, reviews across the sector, in some cases in co-operation with the UGC, have been carried out in certain subjects including initial teacher training, architecture, town and country planning and nautical studies. Some movement towards a pattern of provision more suited to the country's longer term needs has resulted, but little progress has been made in addressing the broader need to concentrate higher education on strong institutions where this is possible without curtailing opportunities for students, particularly those wishing to study part- time. 3.32 In Scotland, efficiency and value for money are being examined in a financial management survey of the central institutions (CIs). Here too SSRs are used as performance indicators. In the CI sector as a whole, SSRs have tightened from 7.8: 1 in 1975-76 to 11.1:1 in 1985-86 and are subject to a target of 11.5:1 by 1990-91. That target takes account of the different pattern of provision in CIs as compared with polytechnics and colleges in England and Wales and differences in the methodology for calculating SSRs. Consideration is being given to the scope for using other indicators of performance. 4.1 Previous chapters have indicated the range of sound achievement in recent years; there is much to be proud of in all sectors of higher education in this country. But they also draw attention to weaknesses in the management and structure of the system. These are serious in much of the sector of higher education in England which contains the polytechnics and the maintained and grant-aided colleges, and the following paragraphs announce radical changes here. Significant development is also needed in the shape and constitutional position of the University Grants Committee (UGC), as examined in the Report of the Croham Committee's Review. This chapter covers that matter also, including particular reference to future planning and funding arrangements for the Scottish universities. 4.2 This sector of higher education has in recent years been commonly called "the public sector of higher education". But it is misleading to imply a fundamental divide between universities and other institutions also providing higher education and also heavily dependent on public funds. The Government finds the term "public sector" used in this way unhelpful and, moreover, inconsistent with its desire to see all higher education institutions do more to attract private funding. It therefore seeks to lead a move away from use of this term to describe a part of higher education and, in its place, this White Paper speaks throughout of the "polytechnics and colleges sector". 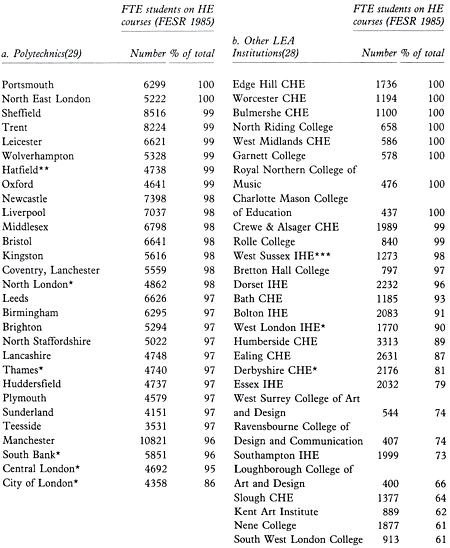 4.3 In England 405 institutions outside the universities provide higher education: 29 polytechnics and 346 other colleges under local education authority (LEA) control, plus 30 voluntary and other colleges directly funded by the Department of Education and Science (DES). Most of these institutions are provided .and maintained by LEAs and are, in effect, part of them: their land, buildings and equipment belong to the authority and their staff are its employees. Others - generally known as assisted institutions - are separately established, some as corporate bodies, but with constitutions linking them to the LEA on whose financial assistance they substantially depend. 4.4 The polytechnics and colleges playa distinctive and increasingly important part in higher education, particularly in technological and other vocational fields. They provide for over half the higher education students in England. 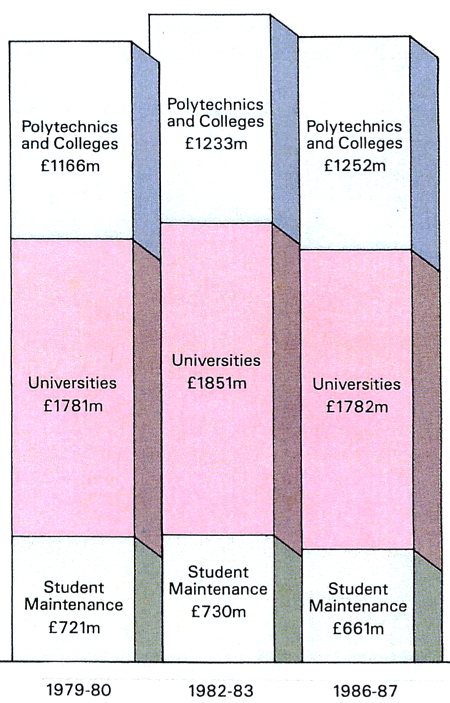 4.5 The resources devoted to higher education outside the universities in England in 1986-87 amounted, excluding student maintenance, to some £978 million (current) and £87 million (capital). Most of the expenditure of the local authority colleges is pooled between all authorities. The Secretary of State for Education and Science determines the total amount which can be pooled and allocates funds and places between individual colleges and areas of study in the light of advice from the National Advisory Body for Public Sector Higher Education (NAB). The local authorities have 6 out of 8 seats on the NAB Committee. Polytechnics have strong national, as well as regional and local, roles. They recruit students nationally and meet the needs of employers nationwide. Polytechnics offer all major subjects except medicine. After two decades they are firmly established and cater on average for a larger number of students than universities. They, other colleges maintained and assisted by local authorities, and the voluntary and other grant-aided colleges, are acknowledged to make a high-quality contribution to higher education, distinct from that of the universities. The funding arrangements for higher education in the polytechnics and colleges have long recognised that it is neither desirable nor appropriate for each local authority to plan and fund its institutions in isolation. Few local authorities are able to promulgate a policy for higher education in their institutions even though they have responsibility for determining the character of educational provision in their areas. The existing national planning arrangements are unsatisfactory. More progress needs to be made in rationalising scattered provision and concentrating effort on strong institutions and departments. Progress in educational planning will be even more necessary if the polytechnics and other colleges are to meet the changing needs of industry and commerce in the 1990s and provide in new ways for the wider range of students discussed in Chapter II. This calls for a more effective lead from the centre and the reward of success and enterprise in meeting new national needs, in place of a system giving undue weight to local interests. In particular, polytechnics should be free from local constraints and encouraged to build on their individual strengths so that some at least can become recognised leaders in particular vocational and technological fields. It is widely acknowledged that the present relationship between local authorities and their polytechnics and colleges can and often does inhibit good institutional management. It also inhibits the desirably closer relationship between institutions and industry and commerce through consultancy and other services. Many local authorities apply to their higher education institutions inappropriate detailed controls, some of which are designed for much smaller institutions or other services. The governors, directors/principals and other senior staff of many polytechnics and colleges are prevented from managing their financial and staffing resources to best effect, and from developing to the full the maturity and responsibility appropriate to higher education institutions. 4.7 It has been suggested that the simple grant of corporate status to polytechnics and other local authority colleges would satisfactorily resolve these management difficulties. The Government does not agree. Even if institutions had corporate status, local authorities would still be able to impose financial and staffing constraints by attaching conditions to their funding. Nor would grant of corporate status do anything to remedy deficiencies in the present national planning arrangements. It is more likely that widespread grant of corporate status would serve only to create new tensions between supposedly self-managing institutions and local authorities which would continue to see themselves as ultimately responsible for the institutions' financial and academic policies. education" is meant colleges with more than 550/0 of their activity in higher education - both measured by the latest available Further Education Statistical Record (FESR), that for 1985. The institutions which will be transferred from local government are the 57 shown in Annex C and on Map 2. Those predominantly higher education institutions with fewer than 350 students will have the choice to opt in to the new arrangements; they are listed in Annex D. Those colleges whose main concern is non-advanced further education will remain with local government. 4.9 The Government intends that the new arrangements should also apply to the voluntary and other grant-aided colleges providing higher education, which are already free-standing institutions funded by the Department of Education and Science. These are also shown on Map 2 and are listed in Annex E. Special considerations, however, apply to two colleges - Cranfield Institute of Technology and the Royal College of Art - which provide predominantly for postgraduate students (see paragraph 4.48). own their land, buildings and equipment, subject to the transitional arrangements described in paragraphs 4.26-27. 4.11 There is no intention that the local and regional links and roles of the institutions concerned should be diminished; on the contrary these should remain a distinctive feature. Local links have usually been formed by the efforts of institutions rather than through the agency of the local authority. It is the Government's conviction that they will want to continue these efforts and that the regional dimension could be strengthened with removal of the single local authority tie. 4.12 The Board of Governors of each institution will comprise 20-25 people, of whom about half will be local and regional employers or representatives of the professions. The initial composition of the employer/professions group will be approved by the Secretary of State on the basis of local advice; thereafter its members will select their successors after consulting relevant local bodies. Other members will be appointed by named constituencies in stated proportions or co-opted. Each Board will elect its own Chairman. 4.13 The Governors will have wide powers to determine the affairs of the institution. The Director of each institution will report only to the Governors. 4.14 The academic work of all the institutions in the new sector will continue to be validated by the Council for National Academic Awards, universities or the Business and Technician Education Council as appropriate, and will be subject to inspection by Her Majesty's Inspectorate. 4.15 The provision of public money on the appropriate scale for the colleges transferred from local government will become the responsibility of central Government. The equivalent of pooled expenditure will be transferred out of Aggregate Exchequer Grant (AEG) and capital expenditure in the transferred colleges will be deducted from provision for local authority capital expenditure. Certain of the transferred institutions currently receive resources from their LEAs over and above the allocations from the pool. The Government expects LEAs to phase out such subsidies before the transfer in continuation of recent trends: it will consider in the light of progress towards this objective whether to take account of the extent of any remaining subsidy either in the adjustment of AEG consequent on the transfer of these institutions or by other means. 4.16 Polytechnics and colleges are at present almost wholly dependent on public funds for their recurrent and capital expenditure. The funds they receive have usually been described as "allocations" or "grants", paid by a local authority or central Government. Payment of such grants from public funds does not imply, in the Government's view, unconditional entitlement to support from the taxpayer at any particular level. The resources made available are intended to secure delivery of educational services which are of satisfactory or better quality and which are responsive to the needs of students and employers. Institutions receiving public funds are accountable for the uses to which the funds are put and for the effectiveness and efficiency with which they are employed. strengthen the commitment of institutions to the delivery of the educational services which it is agreed with the new planning and funding body they should provide. The Government recognises that a system of contracting must be so designed as to avoid damage to aspects of the work of institutions, such as the advancement of learning, which cannot readily be embraced by specific contractual commitments. It also acknowledges that the system must make allowance for the time needed to develop courses to the point at which they become operational and start to recruit students. 4.18 The new polytechnics and colleges sector of higher education will comprise: the transferred colleges listed in Annex C; such small institutions from the list. in Annex D, as choose to opt in; and the voluntary and other grant-aided colleges listed in Annex E. The planning of this sector and the allocation of resources within it will require the establishment of a new body, which it is proposed to call the Polytechnics and Colleges Funding Council (PCFC). The NAB with its local authority majority will cease to be an appropriate planning body and will go out of existence. The Government will consult the voluntary colleges about whether the Voluntary Sector Consultative Council should continue and, if so, about its relationship to the PCFC. Council will be expected to consult the local authorities about their residual interest in higher education and about the small amount of non-advanced further education in the transferred colleges (see paragraphs 4.24 and 4.25). have power to contract for provision of some of the higher education in colleges which remain under the control of local authorities (see paragraph 4.24). The Government will consult further on the PCFC's precise terms of reference. 4.21 The development of the system of contracting discussed in paragraphs 4.16-17 will be a matter for the PCFC, subject to any guidance from the Secretary of State. Before contracts are entered into, the PCFC will assess the performance of institutions. Any serious failure to meet the terms of a previous contract may result in revised terms or a failure to renew. The Government will provide the PCFC with indications of future levels of funding in the normal way through its published public expenditure plans. 4.22 The PCFC will also have an interest in the pay of staff in the transferred colleges related to its responsibilities for funding. The Government will be considering further the arrangements for determining the pay of academic staff (see also paragraph 4.47). 4.23 The institutions within the ambit of the PCFC will include those providing almost all initial teacher training courses outside the universities. As in the past, the Secretary of State for Education and Science will not only approve individual courses with regard to their suitability as courses of initial training for school teachers, but also set individual course entry targets at individual institutions. He would wish to be able to base these decisions on advice from the PCFC, which would take into account both criteria provided by the Secretary of State for initial teacher training and its planning work across the new sector of higher education. But to operate in this way will require arrangements which result in delivery to the Secretary of State of advice on a timetable which meets his needs and that of the institutions. If that does not prove possible, the Secretary of State will need to rely on internal Departmental advice, developed in consultation with the PCFC. As for courses of in-service teacher training, the PCFC will contract with institutions for the provision of those leading to a recognised qualification and lasting at least a year full-time or the part-time equivalent. Shorter in-service courses will be funded entirely through fees. for other courses, including all part-time sub-degree provision, whether leading to BTEC, professional or other qualifications: the local authorities will no longer be guided by a central planning agency. The present pooled funding arrangements will end. LEAs will instead receive credit for students on such courses in the assessment of their Grant Related Expenditure for Rate Support Grant purposes. 4.25 As part of their continuing responsibility for non-advanced further education (NAFE), it will be open to LEAs to make contractual arrangements for it to be provided in colleges transferred from their control. The arrangements for reducing the Aggregate Exchequer Grant on account of the transfer, and for the assessment of Grant Related Expenditure, will recognise authorities' continuing responsibility for NAFE. 4.26 A Polytechnics and Colleges Assets Board (PCAB) will be set up for a limited period. Its main tasks will be to resolve any difficulties in the apportionment of assets to transferred institutions and to assist them to make arrangements as quickly as possible for the holding of their own assets. Any assets which are not assigned to institutions when they become corporate bodies will be held transitionally by the PCAB. It will charge peppercorn rents for the use of such assets. 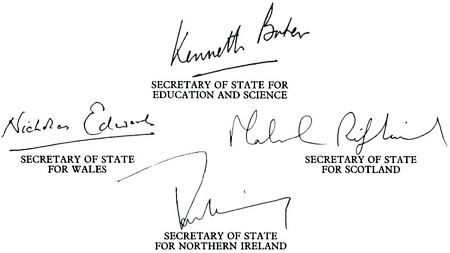 It will also then have a duty to make available to the PCFC any surplus assets or the proceeds of any sale of assets, so that the PCFC can apply them for other purposes within the new sector of higher education, subject to a reserve power of direction by the Secretary of State for Education and Science. The Chairman and members of PCAB will be appointed by the Secretary of State. 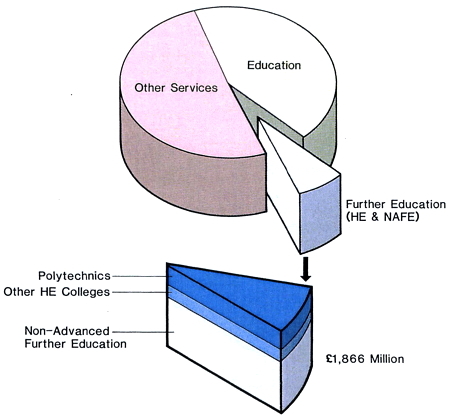 4.27 The assets now used in local authority higher education were acquired in most cases under arrangements which shared the cost between ratepayers and taxpayers on a national basis, to form part of the national provision of higher education. They will continue to serve that purpose. Accordingly, the local education authorities will not be compensated for the transfer of the assets now in their ownership. The institutions themselves will become responsible for servicing the debt attributable to past capital expenditure once ownership has transferred to them; this obligation will be taken into account in determining the funding available to them through the PCFC. In the meantime the PCAB will meet the debt charges associated with any assets that it holds. The claims made by local education authorities on the pool out of which debt charges in respect of local authority higher education are at present serviced will provide a bench-mark for assessing the debt to be transferred. 4.28 The PCFC will require a secretariat, and some of the colleges may need additional staff to taker-over financial and other management tasks currently undertaken by their LEAs. There will also be temporary costs associated with the PCAB. But these costs will be offset by consequential savings in LEAs, in DES by the transfer of the funding of the grant-aided institutions to the PCFC, and by the winding-up of the NAB. The running costs of the PCFC and the PCAB will be subject to the normal requirements for non-Departmental public bodies. designations would be appropriate. The PCFC will have to approach this within the resources available for the sector as a whole, but it should do so in a positive spirit, paying attention not only to candidates' attributes but also to their capacity to expand to meet national and regional needs. 4.30 The Government intends to introduce a Bill as soon as Parliamentary time permits to secure the re-establishment of maintained colleges as free-standing corporate bodies, the consequential transfer of assets, staff and debts, the establishment of the PCFC and the PCAB and the changes in the funding and other arrangements described in this White Paper. In the meantime the Government will be consulting relevant interests about the detailed legislative provisions. 4.31 The necessity for legislation will mean some delay before the new arrangements can take effect. The Government is confident that during this period local authorities will continue to act responsibly in the funding of the institutions due for transfer and in the upkeep of their plant. The Government will monitor the position carefully with the intention of ensuring, where necessary, that the interests of present and future students are not placed in jeopardy. and local roles should be in no way diminished; indeed the reconstruction of their governing bodies may enhance their capability there too. As corporate bodies, no longer controlled and funded by local authorities, these colleges will be free to manage their resources flexibly and to best advantage, while being accountable through the PCFC for their use of public funds. 4.33 At the same time the PCFC itself will be constituted with the scope to operate far more effectively than the NAB has done. It will, moreover, be able to concentrate its attention on institutions which are predominantly concerned with higher education of national relevance; with the local authorities correspondingly retaining charge of institutions where primarily local needs are being served. 4.34 In Wales 22 institutions outside the universities provide higher education: one polytechnic, 20 other local authority maintained institutions and one voluntary college directly funded by the Welsh Office. 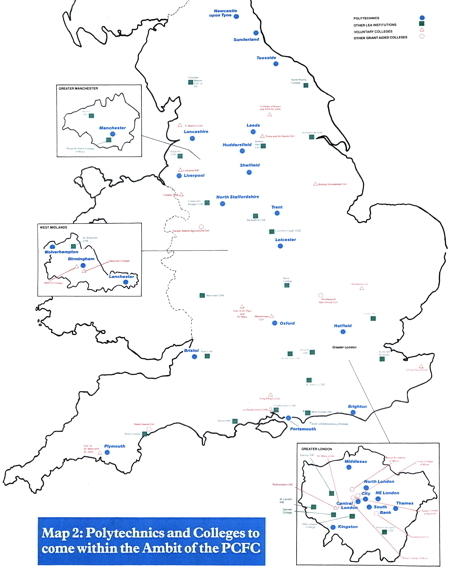 The local authority maintained institutions are funded on the same basis as their counterparts in England. The Wales Advisory Body for Local Authority Higher Education (WAB) advises the Secretary of State for Wales on the distribution of student places and on the allocation of expenditure from the Advanced Further Education Pool. There are 14,000 full-time equivalent students on higher education courses in the polytechnic and colleges sector in Wales, compared with 21,000 full and part-time students in the University of Wales. 4.35 Only five of the local authority maintained institutions and the one voluntary college are engaged predominantly in higher education and have more than 350 full-time equivalent students. Nearly a fifth of the provision at these institutions is non-advanced further education courses. 4.36 As the polytechnic and colleges sector in Wales is small, it is capable of being planned and developed through the WAB, provided the interests of individual local authorities are subordinated to the interests of the sector as a whole. The WAB - which came into being later than the NAB - is currently reviewing courses in a number of subject areas with a view to rationalising provision where this is necessary. The results of these reviews will indicate whether the WAB is able to offer advice based on national, as opposed to local, considerations. They will also show whether the WAB, the UGC (and its successor) and the University of Wales can work successfully together to develop a coherent system of higher education across all sectors in Wales. 4.37 The Government expects the WAB to maintain its ability to operate as a national advisory body. It is not at present the Government's intention therefore to establish a Polytechnic and Colleges Funding Council for Wales. However the legislation which will be brought forward to establish a PCFC in England will provide for the same arrangements to be extended to Wales if the Government subsequently considers that to be necessary. decision of the UGC. Following a recommendation by the Steering Committee for Efficiency Studies in Universities, under the Chairmanship of Sir Alex Jarratt, the Government established in July 1985 a Committee chaired by Lord Croham to review the UGC's constitutional position, role and structure. 4.39 The Croham Report was published on 10 February 1987. (14) Its chief conclusions were that the UGC should be reconstituted as a University Grants Council, an independent body under the sponsorship of the Secretary of State for Education and Science, with revised terms of reference, a chairman with substantial experience outside the academic world, broadly equal numbers of academic and non-academic members, and a reserve power for the Secretary of State to issue directions to the Council. It recommended that the new Council should be formally incorporated, preferably by legislation. (14) Review of the University Grants Committee Cm 81 (HMSO 1987). 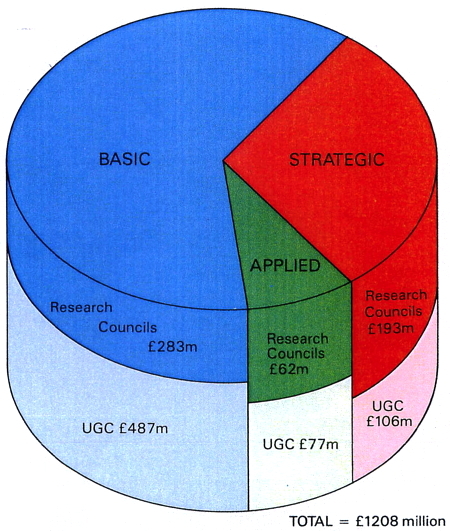 Universities Funding Council (UFC) - which form is used in the discussion below of the Croham recommendations. The Government will be giving further consideration, in the period up to the introduction of legislation, to the precise terms of reference of the UFC, and in that process will take into account what may be said during its consultations on the Croham recommendations. It wishes to emphasise, however, that the UFC's essential responsibilities should relate to the allocation of funding between universities rather than to its overall amount, which is a matter for Government to decide after considering all the evidence. 4.41 The Government welcomes and endorses the following other recommendations of the Report. All of them build to some extent on present practice and development, and further progress in these directions should be made even before the new UFC is constituted. The Government should provide guidelines at appropriate intervals to set the framework for the planning process which the UFC and the universities should conduct. The Government should play no part in the distribution of general funding between individual universities in Great Britain. The UFC for its part should have the power to require that funding is or is not spent for a particular purpose. Financial relations between the Government and the UFC, and between the UFC and universities, should be governed by financial memoranda. Arrangements for the flow of management information and for accountability from the universities to the UFC and onwards to Government should be much improved. 4.42 In addition to early guidelines from Government to assist the UFC's planning work, the Report recommends that, so long as the general rate of inflation is expected to be below 5%, the funds made available by the Government to the UFC and by the Council to the universities should be set in cash terms for a period of three university financial years and should not be reduced except in a national emergency. The Government is not convinced that such an arrangement would necessarily work to the universities' advantage and believes that it would be undesirable to insulate university management from the need to plan for changing circumstances. It recognises the importance of giving higher education institutions as much advance information as possible about the total resources likely to be made available and aims to do this through the public expenditure planning process - in effect a rolling programme rather than a fixed triennium. Against that background it will be for the new UFC to give universities planning parameters for the medium and long terms. 4.43 The Croham Report makes a wide range of other recommendations. With the exception of that concerning the proposed UK Education Commission (see paragraph 4.50) and what the Report has to say on the Scottish position (see paragraphs 4.44-45), the Government is still considering these and would welcome comments on them by 30 June. These other matters concern principally the direction, structure and staffing of the new Council; the information needed for its work; the arrangements for resource allocations to universities; and specific aspects of the Council's responsibilities, including in respect of medical education. The Government will, in particular, be concerned to see that the UFC's arrangements for making funds available to universities properly reward success in developing co-operation with and meeting the needs of industry and commerce. As regards medical education, the Government is already taking steps to improve co-ordination between the universities and the National Health Service at all levels. The DES and Health Departments have issued for the first time joint guidance on provision for medical education. 4.44 The Scottish Tertiary Education Advisory Council (STEAC) report Future Strategy for Higher Education in Scotland (Cmnd 9676) recommended establishment of a body with responsibility for academic planning across the university and non-university sectors of higher education in Scotland and for allocation of resources within a system of funding unified under the Secretary of State for Scotland. This recommendation was subject to certain conditions, including the existence of a satisfactory UK-based peer review system for teaching and research in the Scottish universities and adequate safeguards for the Scottish universities in relation to access to research council funding. The Advisory Board for the Research Councils (ABRC) has advised the Government that no additional measures would be necessary to safeguard access by Scottish universities to research council funds. The Croham Report concluded that, if a Scottish planning and funding body of the kind proposed were to be established, it should be incumbent on both that body and the UFC to consult each other whenever a policy development might have a limiting effect on the mobility of students or staff or the pattern of UK provision in particular subjects. The Croham Report also recommended that, if such a Scottish planning and funding body were not established, the UFC should set up a Scottish Committee. 4.45 The Government agrees with STEAC's view that there is scope for improvement in the co-ordination and planning of the university and colleges sectors of higher education in Scotland. Equally, however, it is concerned to ensure that the planning and funding of the eight Scottish universities is not divorced from that of universities elsewhere in the United Kingdom. The Government has therefore decided that the remit of the new Universities Funding Council should cover all the universities currently funded on the advice of the UGc. The Council should, however, appoint a Scottish Committee after consultation with the Secretary of State for Scotland and in the development of its policies take account of advice from this Committee. The UFC would have regard to the views of the Secretary of State for Scotland on Scottish needs and plans for the colleges sector of higher education in Scotland, consistent with the national guidelines provided by the Secretary of State for Education and Science. 4.46 The Government accepts the Croham Committee's recommendation that the UFC should advise the Department of Education for Northern Ireland on the funding of the universities in Northern Ireland. It intends that these two universities should continue to be funded on the basis of parity of provision with institutions in Great Britain. In formulating its advice, the UFC will take account of the views of a Northern Ireland Working Party which, as now, will consider and report on particular circumstances bearing on higher education provision in the Province. 4.47 The Croham Report comments briefly on the arrangements for determining academic salaries in the universities. Pay levels and the pay structure 'have to be devised so as to enable the universities to recruit, retain and motivate staff within the available resources. The Report notes that the existing negotiating arrangements for academic salaries were established before the present funding arrangements were introduced, and it recommends a re-examination of the arrangements. The Government agrees, and will shortly open discussions to that end. The Government will at the same time be considering what arrangements should be adopted in the polytechnics and colleges sector. 4.48 As the Croham Report noted, these three institutions are currently planned and funded separately from the rest of higher education with direct funding from the Department of Education and Science on the advice of Visiting Committees appointed by the Secretary of State. The Government recognises that these institutions each have certain features which may continue to justify special arrangements, but will be discussing with each the possibility of its coming within the ambit of one of the proposed new planning and funding bodies. 4.49 The Croham Report discusses the planning of the whole of higher education as part of the context for its review of the UFC's role, and notes the statement in Cmnd 9524 that the Government saw no practical scope for a united planning body for higher education of the kind comprehended by the term "overarching body". The Government reaffirms that view. It recognises its own responsibilities for higher education planning and policy and attaches importance to those features which distinguish universities and other higher education institutions. Many of those features are valuable in their own right and continue to call for separate planning and funding arrangements. 4.50 The Croham Report goes on, however, to propose the establishment of a United Kingdom Education Commission to advise on national needs in relation to the education system. This recommendation runs well beyond advice on national needs in relation to higher education and raises a number of fundamental questions about the desirability and usefulness of purely advisory bodies and about the difficulty of manpower planning which have been long debated. The Government is not at this stage persuaded that such a Commission would be helpful and believes that the statements about future access to higher education in Chapter II contribute to the assessment of national needs for higher education which rightly concerned the Croham Committee. 4.51 Moreover, setting up the polytechnics and certain other colleges in England as free-standing institutions to be funded by central Government, no longer under local authority control, on the lines proposed in the first part of this chapter, will make it easier for the Government and its partners both to secure more collaboration at all levels across the binary line and to co-ordinate assessments of and responses to national needs. The PCFC, as well as - and sometimes in concert with - the UFC, will be in a position to consult about and reach agreed views on matters of demand and supply, and rationalisation where necessary. The development of co-operation at institutional level, despite the hopes expressed in the 1985 Green Paper, has made less progress than the Government would have hoped. The new planning structures, together with the continuing local and regional ties of the polytechnics and colleges especially, should provide a useful basis for further effort. 1 With the exception of some advanced further education courses mounted in institutions of further education, higher education in Northern Ireland is provided by two universities: The Queen's University Belfast; and the University of Ulster, which was formed in 1984 by the merger of the New University of Ulster and the Ulster Polytechnic. 2 The number of full-time students in higher education in institutions in Northern Ireland has increased by just over 18% between 1979 and 1985. This increase is reflected in the Age Participation Index which has risen from 16.0 in 1980 to 19.6 in 1985. Increases in participation rates have been particularly marked for women, students on science-related courses and mature entrants. 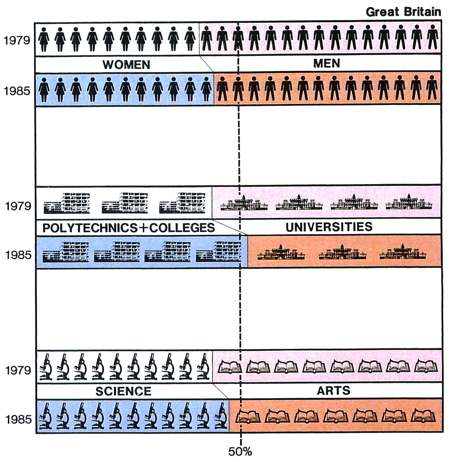 The proportion of women among full-time students rose from 46% in 1979 to 49% in 1985, while the proportion of students on science-related courses increased from 35% to 39% over the same period. 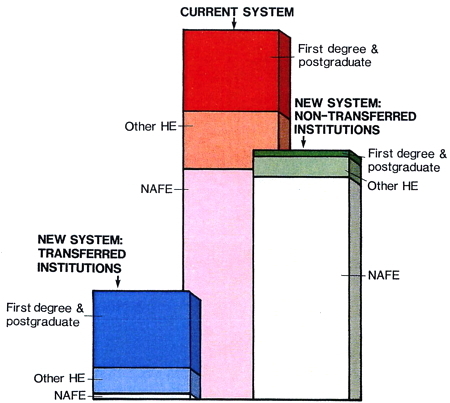 3 Future demand for higher education in Northern Ireland was examined in the discussion document Higher Education in Northern Ireland - Future Demand (1985). This set out two variants which projected maximum and minimum levels of student demand. For planning purposes, it also provided a five-year forecast. Against a declining 18 year old population, this envisaged demand increasing from a 1984-85 baseline of 17,290 to 18,200 in 1989-90. This will be reviewed in the light of a survey of student demand now being undertaken. In the meantime, planning figures for 1989-90 have been adjusted to allow enrolments to increase to 18,540, a 4% increase on 1985-86 levels.